Daughter Michelle, born 1975, attended Hebrew University, Jerusalem, University of Pennsylvania, Banks More…Street School of Education, NYC, and Columbia University. She now lives in Israel with 4 children and one more due Jan 2011. Teaches middle school cares for children. Daughter Dana, born 1977, attended Hebrew University Jerusalem and Northwestern University, Evanston. She works and teaches at The LA County School for Performing Arts, and was Casting Director for our Movie. She also stage manages plays when able. Yitzchak Smilowitz Born in Seattle, 2000, Mieara Smilowitz, Born Seattle 2003, Avigail Smilowitz, Born in Seattle 2005, and Yakov Smilowitz, Born Israel 2007. All from same daughter and live in Israel. Not impressive. Was not the "coolest" kid at Mumford. Short and a bit "chubby" (long gone now). Worked outside of school, some student activities but my real life began after medical school. See above. Marvin Verlin (Wayne) posted a message. On Feb 19, March 6,7,8 my younger daughter, Dana, competed on Jeopardy...You can ck out youtube for the episodes. We are very proud of her and very hopeful for Alex Trebek's health. My sister died of Pancreatic CA. at 61. 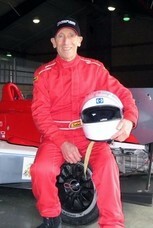 Marvin Verlin (Wayne) added a comment on Profile. Marvin Verlin (Wayne) has a birthday today. Marvin Verlin (Wayne) posted a message. New comment added. So this year I want to be close to the date and even early. May the years continue to be good to you. Happy healthy birthday and new year. Marvin Verlin (Wayne) changed profile picture. New comment added. Just had my "big one". 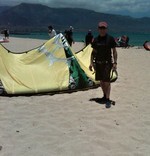 Did it on a kiteboard on overhead wave in Maui.. Hope yours brings you the same level of health and excitement. Movie we made with Faye Duaway, Amy Acker, Tom Seizemore, Danica McKeller and many more loosely based on life in Vietnam. Story of 3 nurses and the search for a child..